1) Applications for recognition may be initiated by an ICS Director or Officer or by the garden concerned, and should be addressed to the ICS Director/s of the region involved. Appropriate information should be included relative to the criteria. 2) The Director/s of the Region shall assess the Garden according to the Criteria, and make their recommendation to the ICS Secretary and President. If the application is supported by the Region’s Director/s, they will forward the application to the Secretary and to the President. 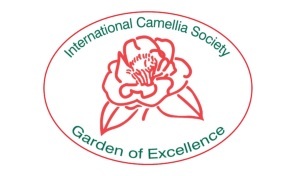 If the Region’s Director/s feel unable to recommend the garden, they shall inform the ICS Secretary and President, and the garden management, of the improvements that they deem necessary before they can give their endorsement to the ICS Board of Directors. 3) If the garden is recommended by the region’s Director/s, the Executive will then obtain an opinion from an ICS Director or Officer from another Region who is familiar with the garden. If also favourable, the Executive will present a motion to the Board to make the award. This may be done in full meeting or by postal vote. 4) The Executive shall maintain a Register of gardens which have received the award. Each garden is to be reviewed every tenth year by the same procedure as in 2) and 3) above, with a vote of reconfirmation by the Board. The designation may be revoked by the Board if the maintenance and operation of the garden are perceived to have fallen below the standard of the Criteria. 5) A Board Member who feels that a certificated garden may have fallen below criteria standards may request the Executive to have the garden reviewed at any time, that is, prior to the normal 10-year review.